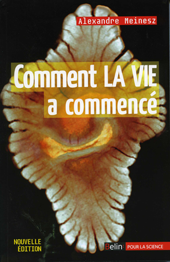 Editeur : Belin, Paris, 320 pp. - Traduit en anglais en nov. 1999 par le Prof D. Simberloff : « Killer Alga. The true tale of a biologic invasion » Ed. University of Chicago Press, Chicago, 360 pp. Ed. the University of Chicago Press, Chicago, 378 pp. 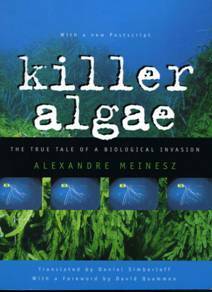 French scientist Alexandre Meinesz reports firsthand on his work in invasion biology in Killer Algae, a grim and frightening book. In it, Meinesz recounts a seemingly innocent transaction that has had appalling consequences. In 1980, a curator at the city zoo in Stuttgart, Germany, introduced a hybrid, cold-resistant variety of the alga Caulerpa taxifolia into the zoo's aquarium, where it proved to be a productive source of food. Encouraged, the curator sent a sample to the Oceanographic Museum of Monaco, then headed by Jacques Cousteau. During a routine cleaning of aquarium tanks, a quantity of Caulerpa was dumped into the Mediterranean Sea. Meinesz, an expert on the alga, was called onto the scene when a museum worker noticed, some days later, that a mere bucketful had grown to cover a square yard. He suggested that the alga be removed, but his suggestion went unheeded. Now, nearly two decades later, the "beautiful stranger," as Meinesz calls it, has spread throughout the Mediterranean basin, covering some 10,000 acres and displacing native algae as it spreads. The result may be a wholesale remaking of the Mediterranean environment, already long victimized. Meinesz's sobering tale speaks much to the fragility of ecosystems--and to the short-sightedness of humans. --Gregory McNamee --This text refers to the Hardcover edition. Review (recension) parue dans « Science » du 10 mars 2000. 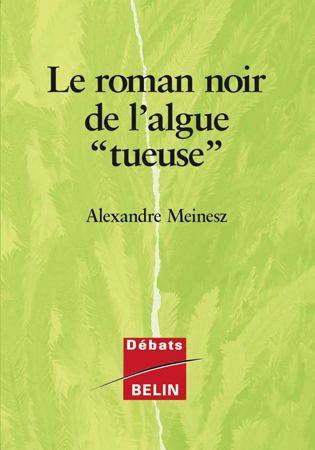 Traduit en Italien et publié en Juin 2001 « L’alga assassina . 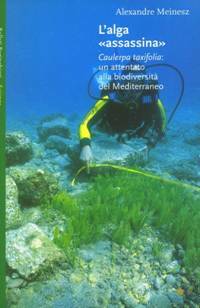 Caulerpa taxifolia : un attentato alla biodiversità del Mediterranreo» Ed. Bolatti Boringhieri, Torino, 285pp.